You have come to the right place to find the best cloning machine out there for your needs. When looking to expand your current grow, and not wanting to start from seed. You have probably been researching about cloning and seen different methods. One of them is using a cloning machine. We go over all the best models and the benefits and what to look for and even a brief overview on how to use a cloner. Cloning plants is pretty simple when you get the basics down, especially when using a machine. Leak proof container, lids and covers can be and issue because it’s the only thing holding back the giant PSI of water being sprayed up . The EZ clone classic 16 cutting system is a solid investment when it comes to generating cannabis clones. This is a smaller model perfect for the home grower with access to 16 cutting slots. Most users reported roots within 5-10 days. Made with a leak proof design, ensure your clones are always hydrated. The EZ Cloner uses aeroponics, provides an even mist to help your cutting grow healthy roots quickly. The EZ Clone Classic 16 comes with 16 EZ Collars, a lid, manifold, water pump, misters, adapter and a reservoir. No humidity dome required. We really like how small this cloner is and how well the roots formed, the roots get well misted. A perfect addition to the grow room for anyone looking to start cloning your cannabis plants. The Clone King 36 comes with 13 separate spray heads to help grow your clones fast. This cloning machine uses the aeroponic method of growing by spraying your roots with water and oxygen. Also comes with 36 sites great for home or craft grower. The clone king comes with all parts included such as pump 13 head spray, lid collars, container. They even boast a 100 percent success rate. The one we test roots appeared in 5 days and ready to transplant in 10. You are able to put the collars on without clippings to use the unit with just a couple clones if you wish. If you need to replace your spray jet manifold, they sell them on Amazon for easy replacement. Clone king also sells a 25 site cloning machine which has bigger holes to hold a small net pot hole size is 2 inches. There is also a 64 site cloner with regular holes. Fan built in Humidity dome 24 sites, 18 x 10 x 14"
The TurboKlone T24D is a great producer in clones, easy to get roots. This type of cloning machine comes with a humidity dome. The T24D has a patented fan for the unit to keep it cool. That’s one thing that is different in this cloning machine. Holes for 24 site, comes with collars. The TurboKolen is an aeroponic cloner, and comes with all the pumps required. Roots in 5 to 10 days , just like other clones out there, the added benefit is the humidity dome and internal fan. 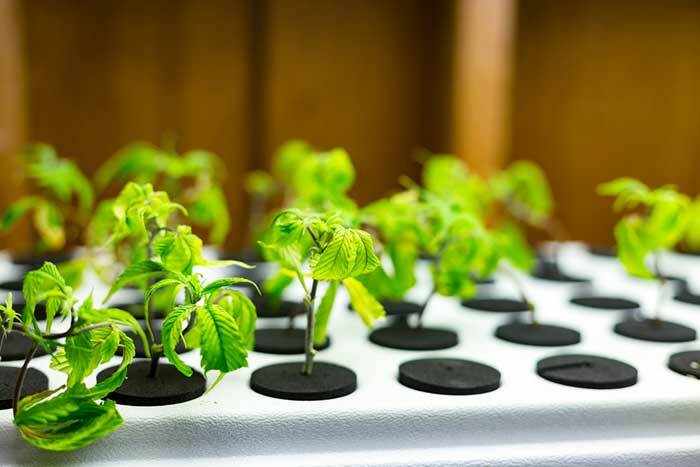 It keeps the temperature around 70 to 80 degrees Fahrenheit, which is perfect for growing clones. The TurboKlone also has 48 and 96 site cloning machines if your needing something bigger and like the feature of the TurboKlone. 20 sites, Air stone, Solid container, 13.8 x 10.8 x 6.2"
The OxyCLONE 20 is perfect for the home grower on a budget looking to clone some of your prized cannabis plants. This cloner is different form the others because you let the roots sit in extremely oxygenated water. The oxycloner comes with 4 inch air stone , which provides dissolved oxygen bubbles to the root zone, and also comes with an active aqua premium pump. Some user reported it requires an extra air stone and possibly a stronger pump. We found this to be true for the air stone. It also uses evaporator cooling , which equals less heat and healthy roots. The OxyClone also has a BPA free plastic reservoir and lid. The cloner also come in different sizes 40 and 80 site cloning system. The PowerGrow deluxe 21 is a different style of cloning machine , this one is in a 3.5 gallon bucket. This can be an awesome addition to the grow room if your not into or do not have the tools for DIY machine. The five spray jets it comes with are a 360 directional spray so your roots are getting constant water to ensure growth. Along with a 160 gph pump your rocking the volume of water. Like all cloning machines this comes with neoprene collars a total for 21 with can ll be used. Or can be put in place if your only wanting to do a couple of clones. The PowerGrow can start roots in as little as 4-7 days. The Viagrow Clone 24 makes it easy to keep track of different clones you want to grow. With various color neoprene collars. The other cool thing is that the spray jets are tested to make sure it does not clog. The viagrow clone machine is compact and fits perfect anywhere you have room in the grow room. With 24 sites for clippings it’s great for growing your garden. The spray jet spray 360 degrees and the Lid has a good seal. The bonus it comes with a tiny bottle of clonex solution. Great for on a budget if your looking for something with a different style than a bucket design. 35 sites, 5 spray jets, Fold-able humidity dome, 16.8 x 12.2 x 7.4"
The HortiPots 35 site clone machine has a funky design but gets the job done. This is another clone machine that comes with a humidity dome, with a cool design and is collapsible. The collars for the unit are one of a kind , meaning the generic 1.5mm replacements won’t cut it. You need to order the collars made by Hortipots, no worries the are available on Amazon in different colors. The container is made from BPA plastic like the other clone machine to there. You can get different sizes of Hortipots cloners in 35, 70, 140. The hortipots cloner has 5 spray jets and can get roots in 4-10 days . There are three main benefits of using a cloning machine for cannabis we will go over Speed, Success Rate, Ease of Use. The cloning machine speeds up the rooting process by supplying ample amount of oxygen and water to the root zone of the clipping. By using tiny spray jets it increases the rate of developing roots. Some reported getting roots in as little as 3 days. With nice development in 7 to 10 days ready to be transplanted. Most cloning machines out there boast at least 80-100 % success rate. This can usually be done if keeping up with the water temp and making sure no light penetrates the reservoir they are in. The ease of use of cloning machines is pretty easy , they all come with instructions that a pretty straight forward. It is just connecting all the pieces and adding water and maybe a cloning gel or root stimulator of your choice. Cloning machines are easy to use here are some simple steps to follow to make sure you get a 100% roots to show on the clone you are growing. Here is a quick video on how to use a cloner, check it out! 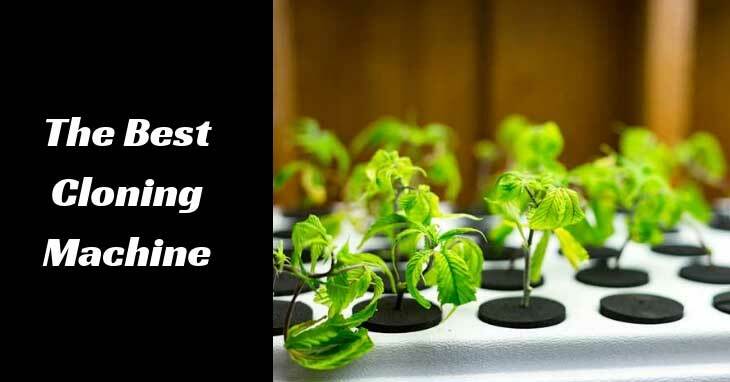 Cloning Machines can be essential for starting your crop faster than growing from seed. There a various ones to choose from, I usually go with one that fits my garden size. No need to go for 50 sites when only going to use maximum of 20 site. We like the fact it has multiple jets , had some good results and seems like a solid investment. A close runner up was the Oxyclone 20 we just bought an extra airstone when purchasing, the price is great as well for a solid cloning machine. Perfect for the small home grower. We also tried to make ourselves a DIY cloning machine and it turned out pretty well. Maybe I will post up some direction in the future. Do you use a cloning machine? Which one do you use or recommend.